Five simple elements – and you’ll have a sound strategy for the rest of your life. A successful savings strategy can start with a small monthly amount. Successful investing is not about how much you save in rand value but rather saving in the first place and starting to save early in life. Young people starting a career tend to think that their salaries are too small to have any significant impact on their retirement savings. This is not true. Even a small initial monthly contribution towards a savings product will have a significant impact on your retirement. This is due to many years of compounding growth over time. By starting your savings habits early, you will get used to living without that portion of your earnings. This will also lessen the burden in terms of the percentage of earnings that must be saved in later years to prepare for retirement compared with someone who did not start saving early. 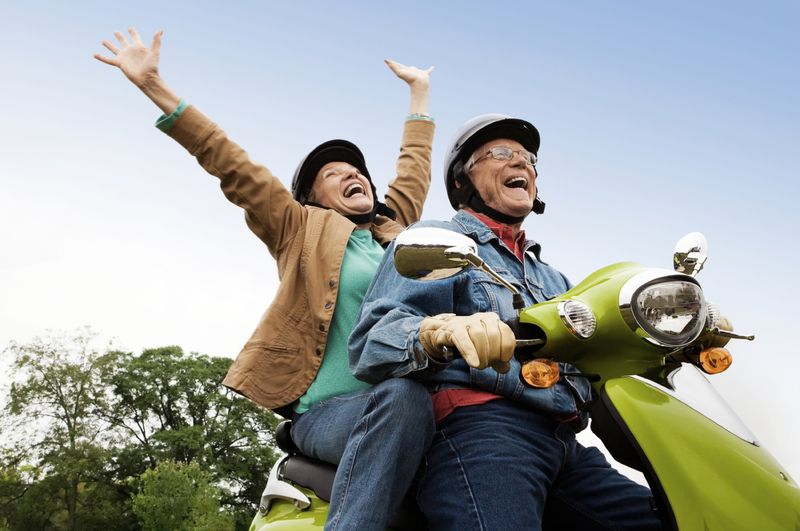 If you delay saving for retirement too long, you will reach a point where it will not be possible to make up for the time lost and inevitably you will have to work longer or sacrifice living standards once you get to retirement. A successful savings strategy also involves getting rid of debt as the interest you pay can consume a large portion of your salary, making it increasingly difficult to put money aside for saving. Start by paying off the debt bearing highest interest first. This would typically be unsecured debt such as retail accounts, overdrafts and credit cards. You will need to change your spending patterns and habits to achieve this but the rewards over the long term will be worth it. Another factor to consider to achieve savings goals is getting rid of bad spending habits. Set up a monthly budget and try to stick to it as diligently as possible. By drawing up a budget, you are taking ownership of your finances and you will have something to measure your actual expenses against to see how and where you can improve. One of the reasons it can be difficult to stick to a budget is that you tend to focus on what you’re missing out on or giving up. Chances are that if you focus on the outcome or result of sticking to the budget – such as being debt-free and avoiding interest charges – you are more likely to persevere and maintain the discipline of sticking to a budget. Whenever you receive an increase in salary, make sure you allocate a portion of that increase to your savings right from the start. By doing so, you will ensure that you don’t adapt your lifestyle by consuming the entire increase in your day-to-day expenses. People find it almost impossible to adapt to a lower lifestyle once they are used to a certain level of spending. 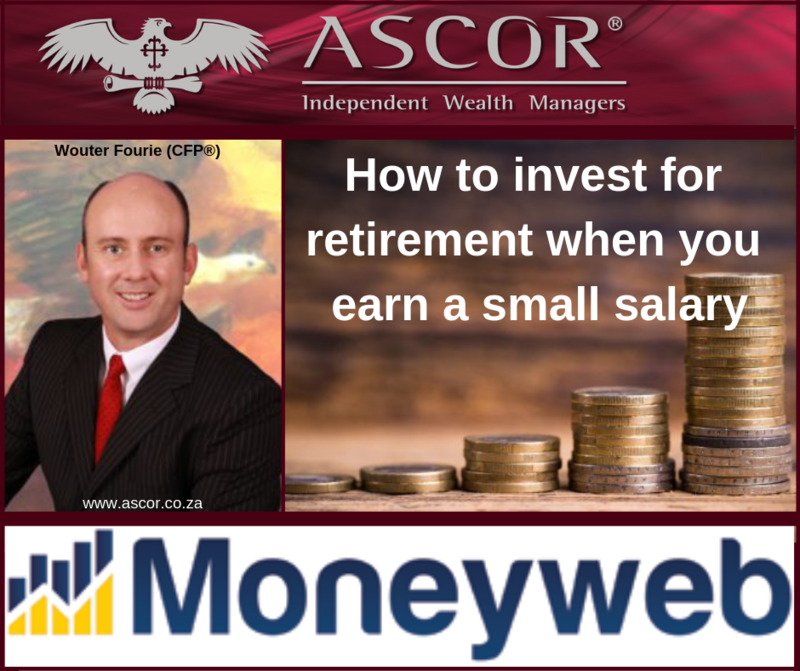 If you are trying to save for retirement from a small salary, you need to ensure that you use the correct products for your investment. For example, by investing your savings in a retirement annuity, you will benefit from the tax deductibility of the contributions, effectively helping you to save a little more by funding a part of the contribution from your tax deduction. Achieving these goals will not be easy, but if you are diligent and hold yourself accountable and stick to your budget, you will reap the rewards over the long term. Remember to include a reward for yourself in your budget that you can enjoy if you are successful in sticking to it. This will give you a personal goal to work towards!